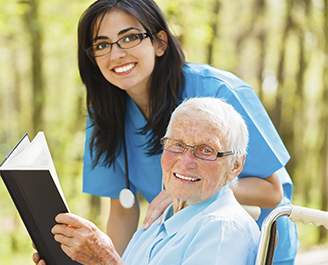 Vistelan Healthcare is a South Carolina Licensed, Bonded and Insured In-Home Care Provider. Our philosophy is to merge innovative healthcare solutions with traditional values to meet the needs of those that are most deserving, our patients. In an ever changing healthcare environment our commitment is the satisfaction of our patients, families and business partners. Vistelan is positioned for continued success due to the vast array of healthcare services we provide. We have an executive team with over 50 years of health care experience. Vistelan Healthcare is one of the 2015 Reader’s Choice award honorees. Thank you Summerville for voting us among the best home care providers in our community! ! Provide innovative staffing solutions to meet the needs of our clients, patients and business partners. Treat everyone we serve with respect and compassion while providing superior customer service. Be a destination employer for top quality professionals. Our staff is passionate and engaged about the service they deliver from heart, mind and hands. Vistelan’s training and continuing education programs are designed to ensure that our staff remains ahead of industry trends and current with state and Federal regulations regarding quality and standards of care. Vistelan has an employment background check and drug screening policy in place that ensures our caregivers have the compassion and integrity it takes to be trusted in our client’s homes. Vistelan is a member of the South Carolina Chamber of Commerce, NAICP and the National Association of Home Care and Hospice. Review of all medications with your physician including over the counter medications each visit.